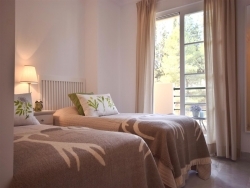 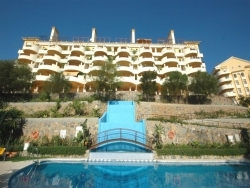 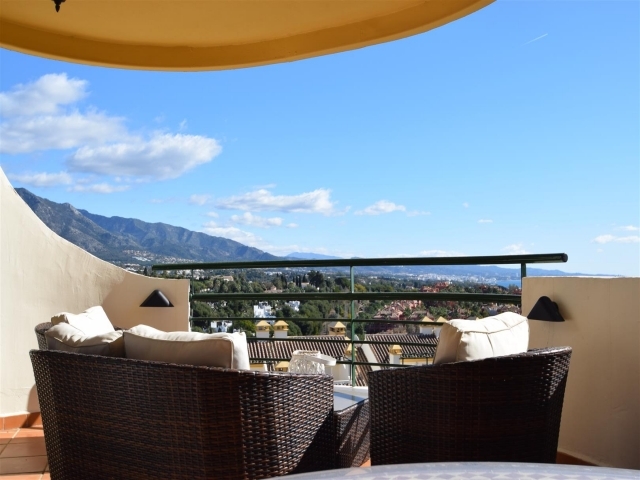 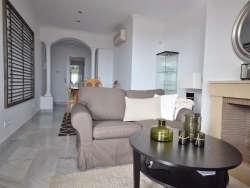 Cosy two bedroom apartment with stunning views towards the Mediterranean Sea and the mountains. Available for holiday rentals, the apartment is situated within the gated community of Señorio de Aloha which boasts good security, two communal swimming pools and padel tennis. 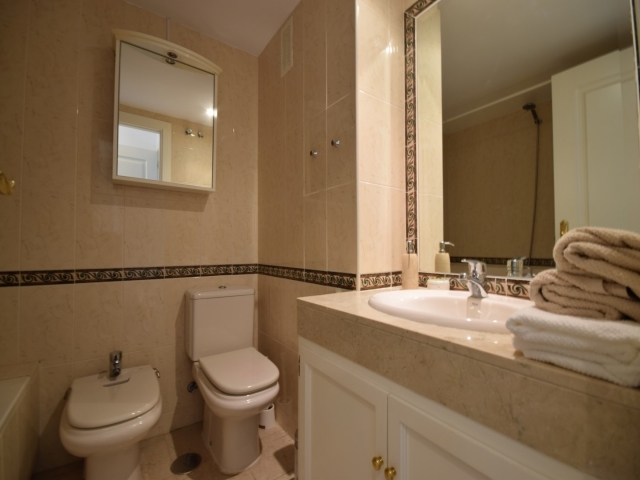 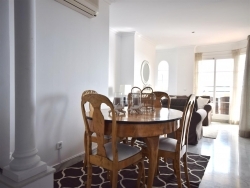 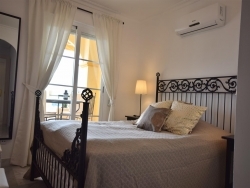 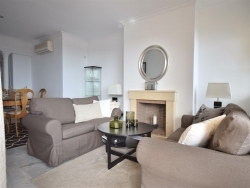 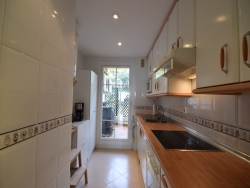 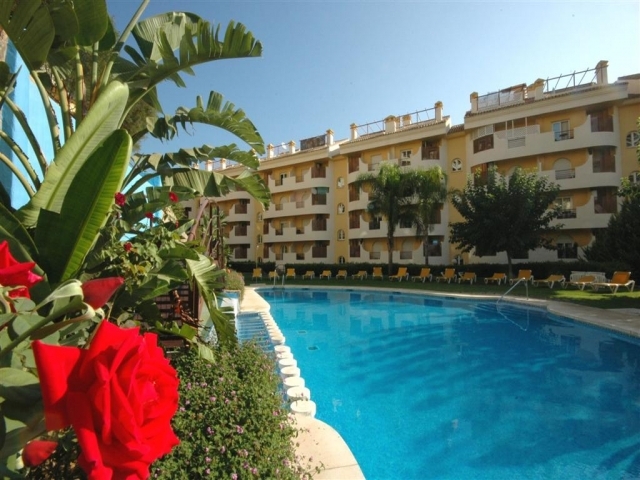 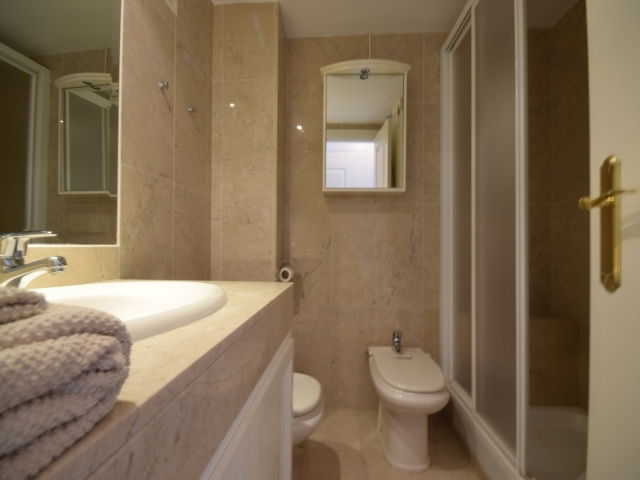 Well-located, it is within walking distance to all amenities including Puerto Banús and the beach. 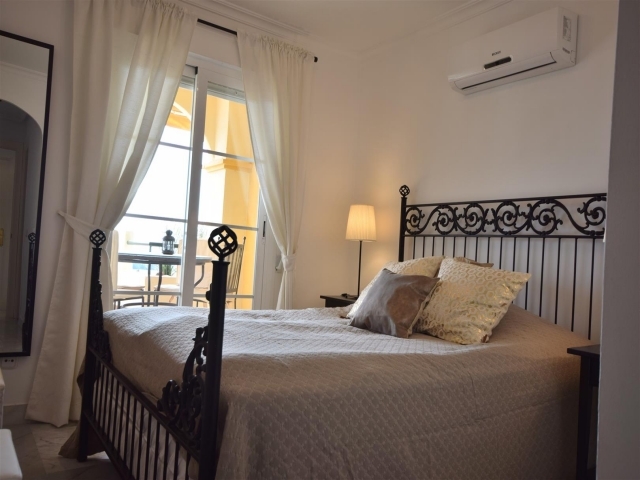 The apartment is one of the best units in the block due to its orientation facing the sea. All built on one floor, the property offers a combined living and dining area with direct terrace access, a fully equipped kitchen and two en-suite bedrooms; one bedroom with a double bed and the second bedroom with twin beds. 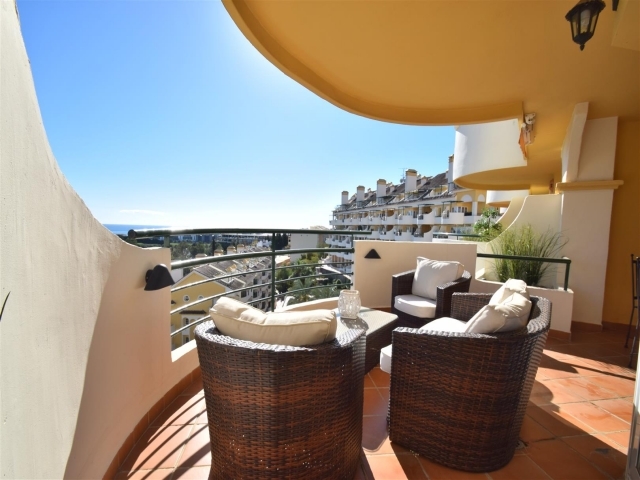 The lovely rounded terrace has fantastic views.  This is a great apartment in a convenient location!